The first time I ever tasted a real tomato, I was in Cusco, Peru. I had picked them up at a Farmer’s Market, bought them from an old lady with wizened wrinkles and sun-browned skin. She’d carried a basket of them to market on foot from her scrap of land somewhere far down the mountain. It was a revelation — heaven and sunlight on my tongue! I never knew tomatoes could pack such flavor. 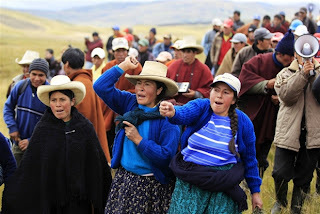 I fell in love with the country and it’s people, the Quechua indians who are the remnants of the once proud Incas. 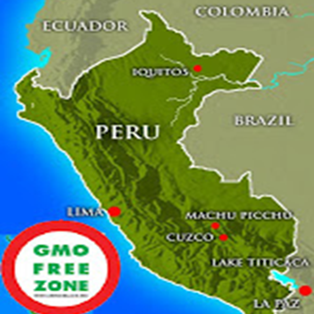 Thanks to the indomitable spirit of that people, a ten-year ban on GMOs takes effect this week in Peru! 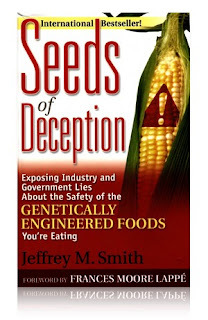 The decree banning GMO foods was drafted in 2008. It not only bans GMO crops like Monsanto’s BT-Corn, but also expands on a prior law that required all foods on supermarket shelves that contain GMOs to be labeled. Those GMO containing foods will now be completely banned. 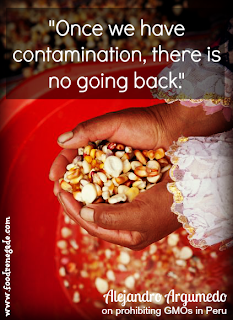 After being subjected to public discussion, being amended, and finally passed in the Peruvian congress in April of 2011, the ban is finally going into effect this week.